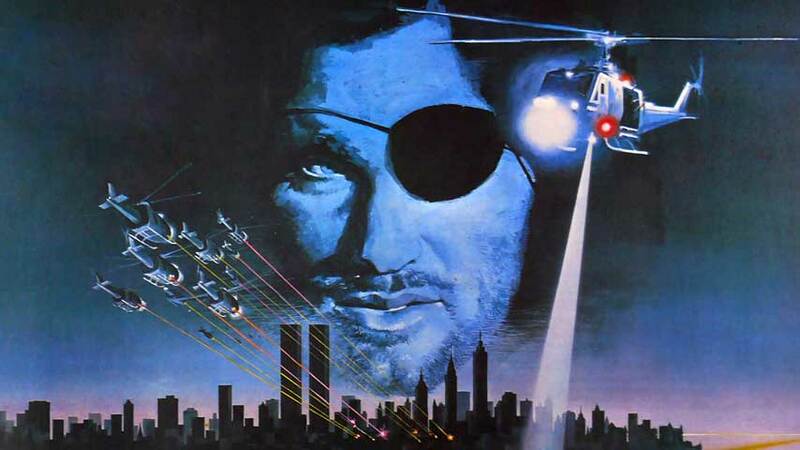 Review - Big Trouble in Little China / Escape From New York #2 - NewRetroWave - Stay Retro! | Live The 80's Dream! 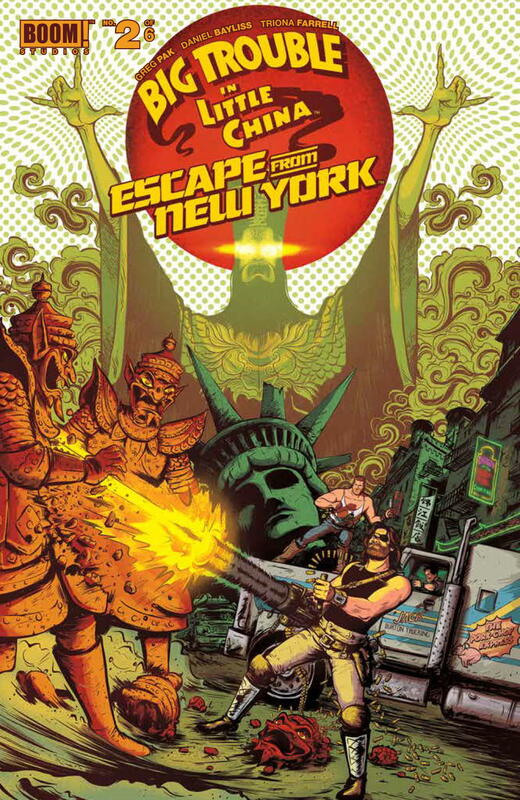 After a first issue that was stronger and more ambitious than expected, Big Trouble in Little Chine / Escape From New York #2 makes everything bigger, raises the stakes, and most importantly establishes who the characters are in greater depth. Apart from advancing the plot in a high octane way with a highly interesting conclusion, Snake, Jack Burton, and Bobby Liu are all given enriching character moments. The way that the comic introduces the similarities between Snake and Jack is brilliant. The first issue of the crossover seemed most concerned in establishing the differences between our two heroes. Seeing Snake’s thousand-yard-stare as he flashes back to the Siege of Leningrad softens the character without sacrificing him. It adds a level of connection that makes the story feel legitimized and not like enhanced fanfiction. Greg Pak’s writing is complemented perfectly by Daniel Bayliss’ art, which illuminates the difference between these two men to tremendous effect in a panel where Snake punches Bobby Liu and Jack catches him. The expression on each man’s face manages to completely sell the inherent difference between them in one panel. Just like with #1, Triona Farrell’s coloring work is noticeably excellent. The amplification of Jack’s accident-induced heroics is one of the best things I’ve read in a comic all year. For two issues, representations of his luck have been extremely engaging, and it’s something that I eagerly await in future installments. Apart from that, Pak’s writing is really excellently paced. The plot never has a lull and switches gears before any scene seems to overstay its welcome. While strong character work dominates the main cast, with Bobby Liu even being given more depth and higher stakes, the inclusion of Blind Apple Mary is, as of now, strange. Pak obviously picked her to be rescued over some sort of MacGuffin for a reason, but she isn’t fleshed out in this issue. 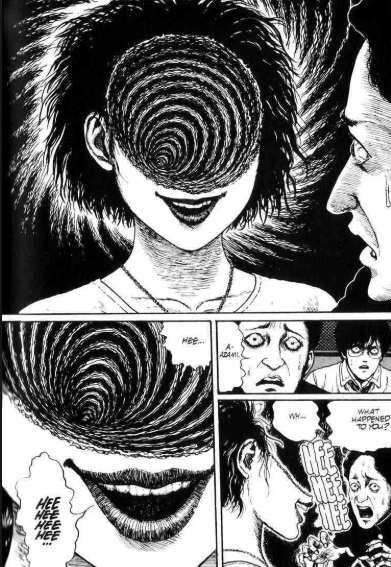 I look forward to seeing where the story goes with her, but as of now she robs the story of a little bit of its momentum. The comic ends with David Lo Pan summoning an army of alternate universe Snake Plisskens to do his bidding. This is a very interesting set-up for the rest of the crossover. The past two issues painted Jack as an alternate universe version of Snake while maintaining the possibility of Snake being an alternate Jack Burton. The summoning of all of these eyepatch-clad Snakes highlights that Jack is the anomaly and really leaves a lot of interesting narrative space for Pak to explore in the next four issues. Is there an army of Jack Burton’s to fight back? Will Snake reflect on his morality as being similar to the army that now serves David Lo Pan? 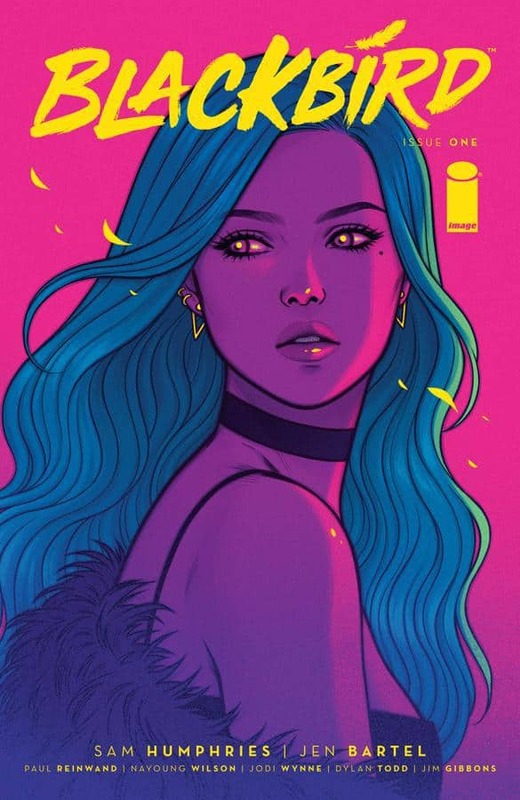 This is a fantastic comic, and if you haven’t started reading it yet, it isn’t too late to catch up on #1 and #2 in anticipation of #3. This is going to be a wild ride.